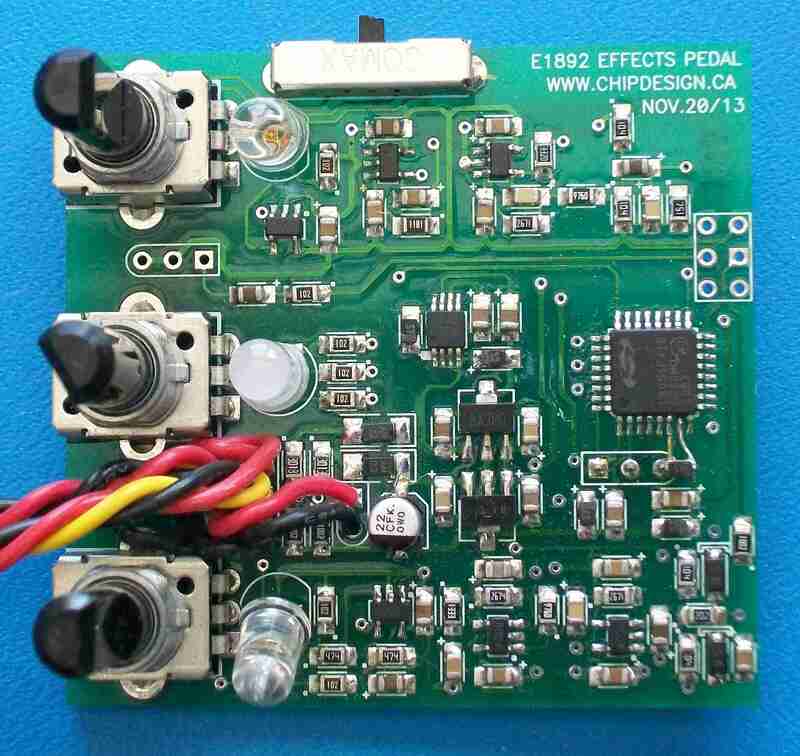 E1892 Music Distortion Effects Pedal | Locus Engineering Inc. The E1892 Music Distortion Effects Pedal for voice and music provides a smoothly adjustable distortion level from a set of pre-programmed distortion curves. An RGB LED indicates the distortion level. Level adjustment is provided on both input and output, and an LED indicates input clipping. A switch selects between direct, effects, or buffered bypass for the stomp switch. Signals are over sampled at 200KHz. Power is supplied with a 9V adapter or 9V battery.